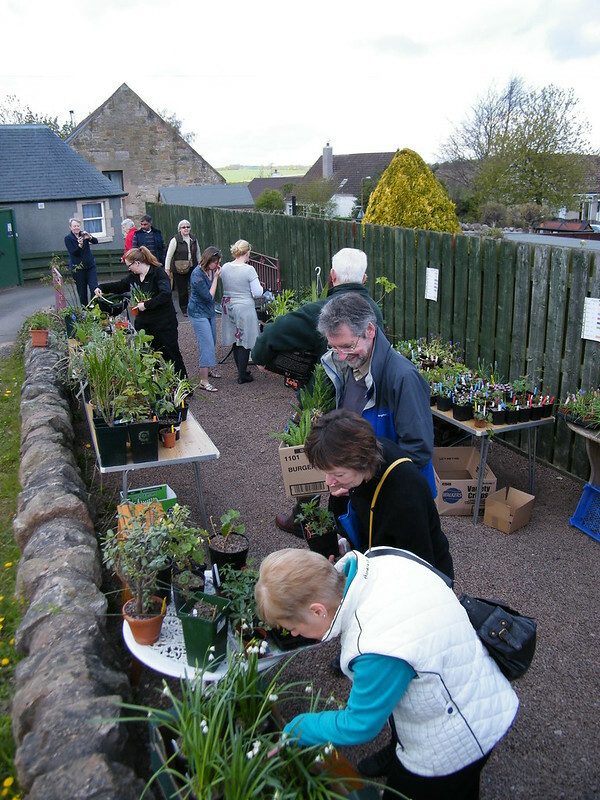 With the support of those who donated plants, we raised more than £1000 for research into an extremely rare neurodegenerative disease, neuroacanthocytosis. When my friends in London discovered some years ago that their youngest daughter was suffering from NA, they’d no idea she was one of just a few hundred known cases worldwide. Today the advocacy they established is one of the few steady sources of funding for researchers wanting to investigate this ultra-rare disease. Thanks in part to fundraisers like our Rare Plants for Rare Disease Research sale, advocacy-sponsored scientists have made major strides. Researchers have discovered that NA is caused because a vital, missing protein leads to brain cell death, which in turn creates severe movement disorders. Every penny devoted to research into this rare condition matters, which is why I can’t quite find the words to thank the generous nurseries — and of course the avid gardeners and kindly donors of home baking from our village — who supported us this year. To the nurseries, thanks go to Lesley at Birchwood Plants, Mark at Otter Farm, Sue & Bleddyn at Crug Farm, Alissa at Sarah Raven, Stella & David at Kevock Garden Plants, Beth & Asa at Beth Chatto, Billy at Binny Plants, Beryl at Macplants, and Michael at David Austin Roses. Have a happy and healthy 2013! Want those web addresses again? Sure, you do. Go buy!